Two states so far have taken advantage of the federal government's decision to give them more leeway in defining the essential health benefits that individual and small-group insurers must offer consumers. Those states—Alabama and Illinois—diverged significantly in how they responded to that flexibility. In April, the CMS finalized a rule that would allow states to determine the minimum essential health benefits that individual and small business health plans operating in the state are required to cover, beginning in 2020. While the agency said the extra flexibility would let insurers create plans more tailored to members' needs, policy experts warned the rule could lead to skimpier coverage if states chipped away at benefit requirements. Alabama appears to be doing just that by proposing to significantly reduce the number of prescription drugs that health insurers must cover, in the hopes that will cut costs and help address the opioid epidemic. On the flip side, Illinois this month said it wants to require insurers to cover alternative chronic pain treatments and expand access to mental health services through telemedicine, among other services. Alabama's and Illinois' distinct approaches offer the first look at how states are interpreting their new flexibility around defining essential health benefits. It's also another example of the growing disparities in individual insurance coverage between states, as some state lawmakers and regulators seek to bolster their ACA markets and others attempt to weaken them. In a brief notice published on its website last week, the Alabama Department of Insurance said it is asking the federal government to approve a change to the number of prescription drugs required to be covered by insurers in the state, in an effort to "reduce premiums and address the opioid crisis." An attached list of prescription drug categories and the number of drugs within those categories covered under the state benchmark plan, which outlines the minimum benefits health insurers must offer, showed Alabama wants to cut the number of drugs insurers must cover by 32% to 731 drugs total, or a reduction of 341 covered drugs. The proposed cuts are not limited to opioid drugs and span the gamut, including antidepressants, anti-inflammatory drugs and dermatology medications. Dania Palanker, an assistant research professor at Georgetown University's Center on Health Insurance Reforms, explained that insurers are not required under state benchmark plans to cover specific drugs. They are, however, required to cover a set number of drugs per category and class so consumers have a minimum level of coverage and insurers and pharmacy benefit managers have room to negotiate prices with drugmakers. Reducing the number of drugs that insurers are required to cover will negatively affect patients, Palanker explained. "They are recommending a cut that's over 30%, which suggests that there will be an impact of reducing patient access to specific drugs," she said. The change would be especially troublesome for patients with conditions such as multiple sclerosis or fibromyalgia because patients may respond to only one drug, she said. It's also unclear if Alabama will accomplish its stated goal of addressing the opioid epidemic through these changes to the benchmark plan. Alabama proposed reducing the number of long-acting and short-acting opioids covered and adding one drug to the anti-addiction and substance abuse treatment category. But the proposal would also eliminate one of the two opioid dependence treatments currently covered under the state's benchmark plan. Experts agree that overprescribing is one cause of the opioid crisis that killed 42,000 people in 2016. But insurance barriers also make it difficult for addicted patients to get necessary treatment. A spokeswoman for Alabama's insurance department confirmed the proposed change is a response to the CMS' April rule, but she said no one was available to answer further questions. Alabama is accepting comments on the changes to prescription drug coverage through Aug. 3. Illinois, meanwhile, seems to be taking a different route to address the opioid epidemic through changing its essential health benefit benchmark plan. 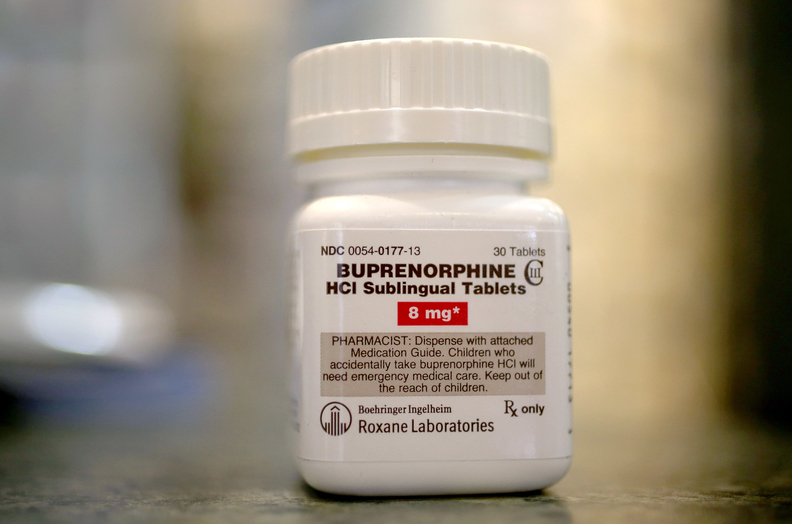 In a news release, the state said it wants to require insurers to cover alternative therapies for chronic pain, issue short-term prescriptions for chronic pain, and remove barriers to prescribing buprenorphine, which is used in medication-assisted treatment for opioid use disorders. Illinois also would require insurers to cover prescriptions for at least one intranasal spray opioid-reversal agent in certain cases, and expand access to mental health and substance use disorder through tele-psychiatry, according to a news release. "These changes to the benchmark plan will give people who carry private insurance access to medications that will help them deal with the pain from an injury while reducing the odds that they become addicted to dangerous medications," Illinois Republican Gov. Bruce Rauner said in a statement. A spokeswoman for the Illinois Insurance Department did not respond to requests for more detail. Illinois accepted comments on the proposal during the spring and submitted its proposal to the CMS ahead of the July 2 deadline to change the 2020 state benchmark plan. Alabama appeared to have missed that deadline, and the state's Insurance Department spokeswoman did not say whether it received an extension from the CMS. The short time frame between the CMS' April rule and the early July deadline is likely one reason only two states proposed changes to their essential health benefit requirements. But they'll have other changes, as the CMS is allowing states to update the benchmark plan annually. In that rule, the CMS said that for 2020, states could either adopt another state's 2017 benchmark plan; pick and choose a few elements of another state's benchmark plan; or completely build a new essential benefits package from scratch so long as the new plan is not too generous and is in line with a "typical employer plan."